I’ve been playing music now for well over fifty years and have written many songs that I’ve recorded. 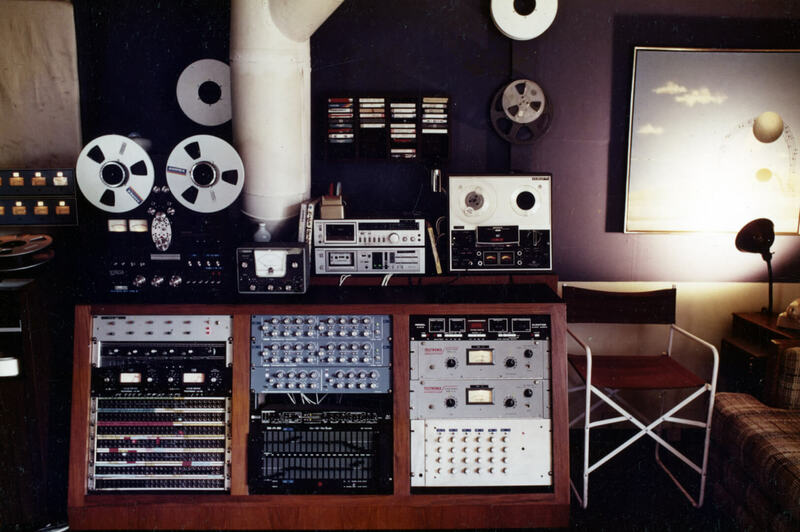 Gary Denton came to me to have cabinetry built for his first recording studio, (he later moved on to bigger and more advanced recording capabilities), but these pieces helped organize and furnish his first. Our friendship grew and I wound up recording a number of demos there. 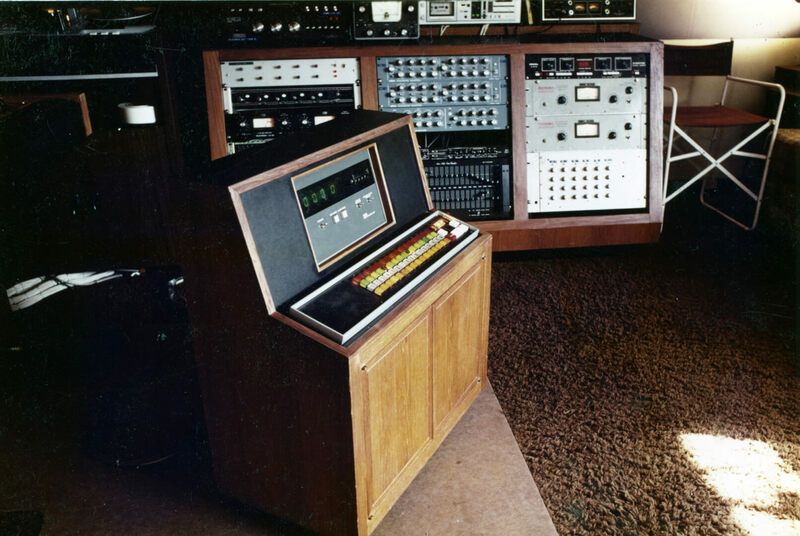 This lower cabinet housed the remote controls for Denton’s 2″ recording machines. On rolling casters, it could be positioned next to the mixing console for easy access when mixing. 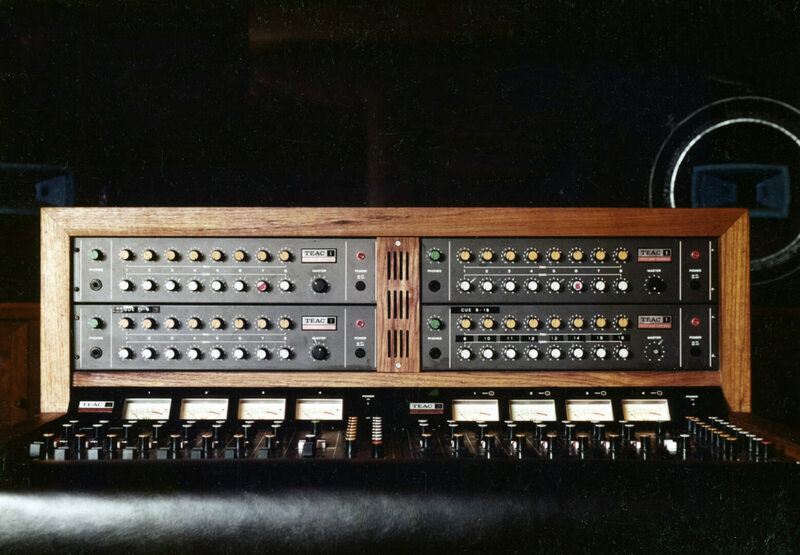 The mixing console housed the EQ controls and featured a foam-padded armrest and heat vent, (the slotted teak grill) in the middle.